"Friends for a Lifetime". "The main characters as they first appear in the show, because thats when we first fell in love with them." -alexds1. 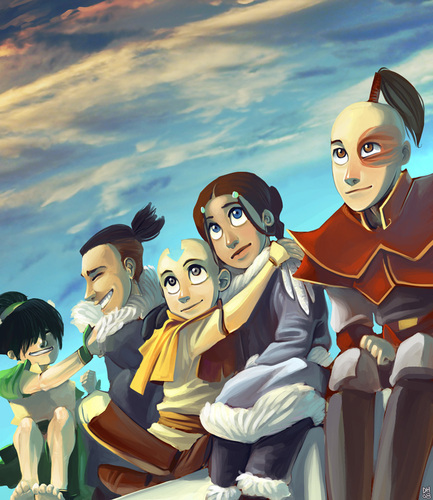 I miss avatar. :(. HD Wallpaper and background images in the Avatar: The Last Airbender club tagged: avatar atla zuko katara toph aang sokka fan art alexds1 image. That is freakin' gooood !!! !